The program is free to qualified women 6 hours per day, 4 days per week for 50 weeks. 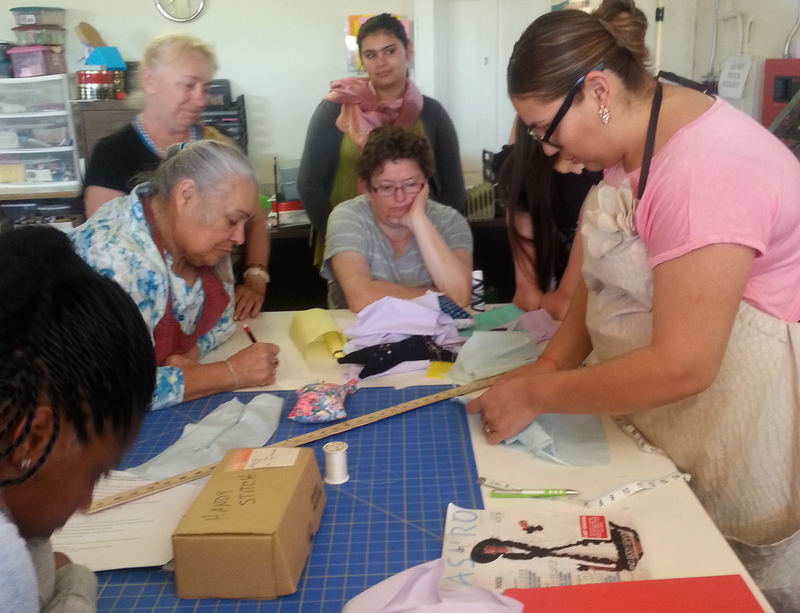 Our sewing curriculum gives women a sense of accomplishment while learning marketable skills. 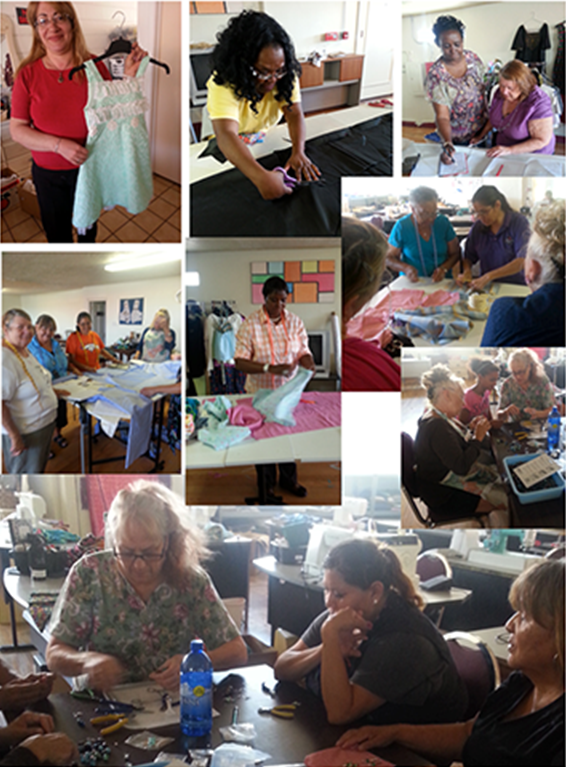 Skills learned in sewing classes are transferable to other jobs and situations, making our students employable across the job market. 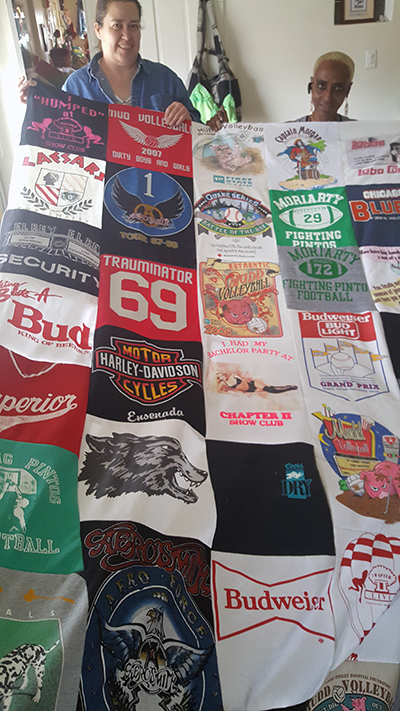 Sewing allows caregivers to adapt their work schedules to accommodate family needs while continuing to help support themselves and their family. In addition to sewing skills, students learn to follow directions, take projects from beginning to end, design their own projects, think and create independently. Students also learn basic financial skills, and basic employment etiquette, such as on-time arrivals, calling when late, scheduling time off with supervisor’s approval. In 2017 we added adult home health care and Community Health Worker certificates to our program. While at TenderLove, our client students receive: a safe shelter during the day, warm lunches, transportation, referrals to wrap around services and coordination with caseworkers. Additionally, students can sell items they’ve made and earn money doing alterations, repairs and other tasks. As of 2018, we are providing certificates of completion in lieu of a single graduation ceremony, to adapt to individual needs of our women.